WASHINGTON (June 5, 2013)  Programs like Advanced Placement (AP) and International Baccalaureate (IB) are designed to provide high school students with challenging academic course work and a head start on a college education. But despite aggressive efforts  by federal and state lawmakers, private philanthropy, and districts and schools  to expand participation, there remain significant differences in the rates at which students from different racial and economic groups gain access. These differences have been documented repeatedly and over time. What is less clear is why they persist. This new report from The Education Trust and Equal Opportunity Schools, “Finding Americas Missing AP and IB Students,” tackles the question head on. Do we simply need to expand the programs to more schools, especially those serving low-income students and students of color, or does the problem lie elsewhere? If we can identify and remedy where and why these inequities exist, these courses can be a powerful means of disrupting the high-end achievement gap, documented in the first report in this series. Co-authors Christina Theokas, director of research at The Education Trust, and Reid Saaris, executive director of Equal Opportunity Schools, examined spring 2010 test-taking data from the College Board, which administers AP, and The International Baccalaureate and found that nationally, low-income students are one-third as likely to enroll in AP as their middle and high-income peers, while black and American Indian students participate at a rate about half that of white students. IB programs are both fewer and smaller, but similar national participation gaps exist. All in all, the authors found over 640,000 low-income students and students of color ”missing” from existing AP and IB programs - that is, the additional numbers who would be participating if such students participated at the same rate as other students. The report shows that 71 percent of traditional public high schools in the United States have AP programs. These schools serve about 91 percent of the high school student population. And, as a whole, “AP schools” enroll students who are reasonably representative of the full economic and racial diversity of all high schools, with the exception of American Indian students. Those schools without an AP program tend to be small, higher poverty, and rural. These deficiencies need to be remedied, but only a small part of the national participation gaps can be accounted for by which schools offer AP and which do not. The real advanced course opportunity gap exists not between schools but within schools. Although the vast majority of students in every racial and economic group attend a school with an AP program, this is not well reflected in who is actually enrolled in AP courses. The co-authors conducted a school-by-school analysis and examined whether various student groups within schools participated at similar rates. Unfortunately, within-school participation rates in many schools weren’t even close to parity, correlating with significant numbers of black, Latino, and low-income students missing from AP courses. 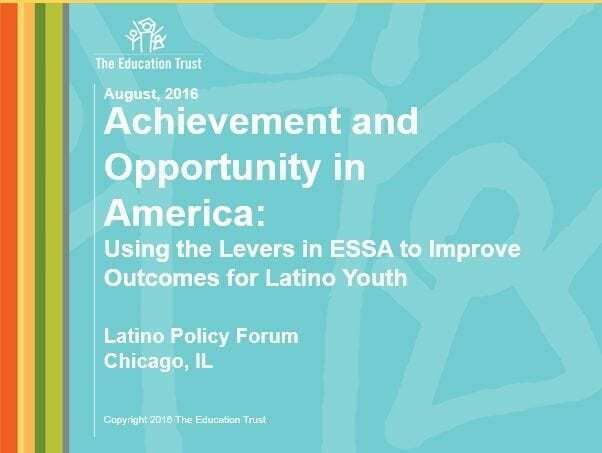 Indeed, if all schools worked hard to find and enroll their “missing students,” the black and Hispanic national participation gaps would be entirely closed, and the low-income student gap would nearly close (90 percent). Certainly, preparation prior to high school is part of the problem, and the nations schools need to work hard on that. But a recent analysis of PSAT scores by the College Board suggests there are far more students who have the potential to be successful, but are not enrolling. The College Board found that 72 percent of black students and 66 percent of Hispanic students whose PSAT scores suggested they had the potential to be successful in an AP math course, as well as 69 percent of black students and 65 percent of Hispanic students whose scores suggested they had the potential to be successful in an AP science course, were left out of the program. Equal Opportunity Schools was created in 2008 to work with districts and schools on finding their ”missing” students. 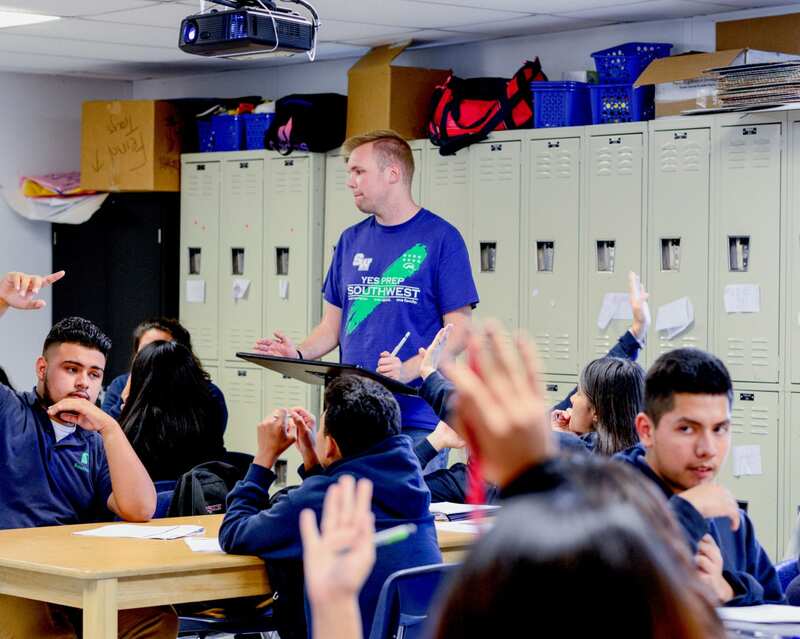 Saaris and his team find that a focus on matching students with challenging high school learning opportunities results in immediate gains on the achievement gap and college readiness, while catalyzing a higher sense of whats possible in our schools. Again and again, they discover that there are many low-income students and students of color literally sitting across the hall from the very high-level courses in which they are ready to succeed. As one of the first school districts in the country to make college readiness a goal for all its students, the San Jose Unified School District began more than a decade ago requiring students to take the full sequence of courses needed for admission to the University of California system. More recently, district leaders began looking at gaps at the top: in AP participation. Staff at each school analyzed their own data and generated appropriate solutions. And, over time, participation rates for under-represented student subgroups doubled. 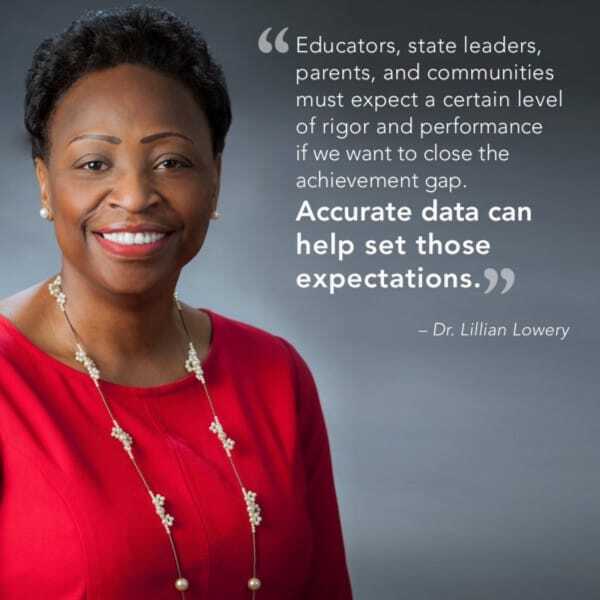 In the Federal Way Public Schools in Washington state, district leaders spotted the gaps in their data and knew that many of their students would be underprepared for college as a result. 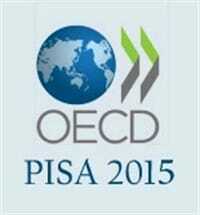 They started with a policy offering ”open access” to AP/IB courses. But when that produced insufficient progress, they decided to automatically enroll students who scored proficient or better on the state exam. That approach has now been endorsed by the state Legislature, with other schools encouraged to follow a similar path. There is also more work to be done by federal and state policymakers. The report recommends that policymakers make sure that all high school students have access to AP or IB programs, require all high schools to offer a minimum number of advanced courses, and - to help close the large within-school gaps in participation - require schools to report school-level participation and success rates for all groups of students. Furthering the research in this area is a new report by The Eli and Edythe Broad Foundation, “The Road to Equity: Expanding AP Access and Success for African-American Students,” which examines successful strategies used by school systems that have not only maintained their level of AP participation by African-American students, but have also been able to increase AP test passing. 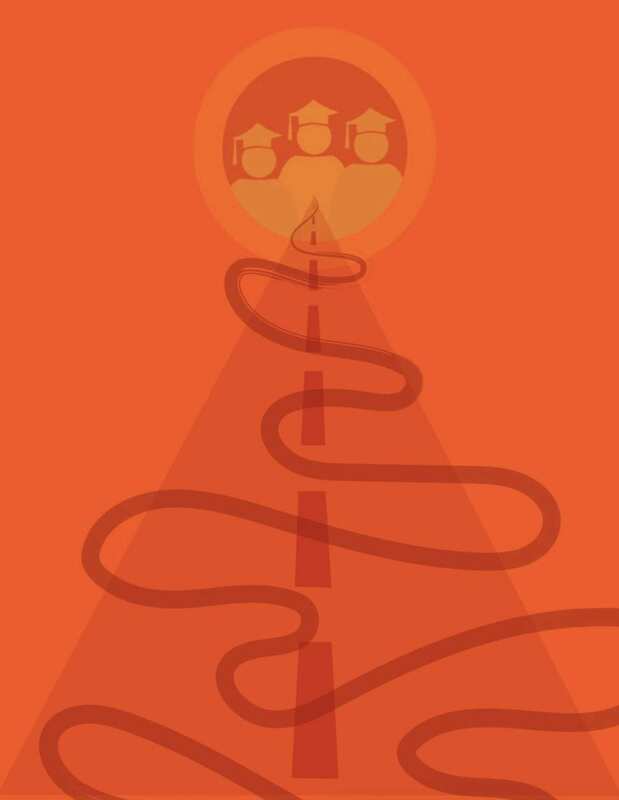 Released today, the report provides case studies of six districts that provide even more examples for other educators, schools, and districts to follow.